Legislature, what will your verse be? Oh Me! Oh Life! is one of Walt Whitman’s classic poems about one of life’s most commonly recurring questions: why are we here? Public officials often ask themselves this question in a more limited scope, and often out of exhaustion or frustration. Public service can be a draining experience and is not always as rewarding as the servants often wish. An accomplishment in public service that can be labeled a “legacy” however, usually makes the service worthwhile. Legacies are historic. They matter. They proudly answer Whitman’s question and often with eternal tones. My wife and I were in California last month and were fortunate enough to visit Joshua Tree National Park. It is a spectacular place. While we hiked I couldn’t help thinking, in today’s political climate, preserving this enormous and unique place would be impossible. After our visit I learned that President Franklin Roosevelt designated it a national monument in 1936. Yes, its preservation began during the Great Depression. 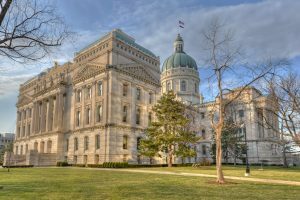 There are only a few days left in the legislative session in Indiana. The critics’ reviews of the General Assembly’s work product are starting to take shape. I know what these reviews will focus on. They will cover the work done on improving and building roads, highways and bridges. And of course, they will focus on the tax policies established to fund it all. There will be talk of appointing, rather than electing our Superintendent of Public Instruction, and hopefully new investment in pre-kindergarten. There is potential “legacy” stuff in there, but nothing obvious. Our roads legislation will not exactly rival the Federal Aid Highway Act of 1956 that established our nation’s interstate highway system. That is a legacy of President Dwight D. Eisenhower. I do not want to diminish its importance or the amount of work its passage has required, but investing in our existing infrastructure is more of a process than an event. I was at an event in the Statehouse in March celebrating The Nature Conservancy’s 100,000th protected acre in Indiana. Former Governor Mitch Daniels was one of the speakers. He spoke passionately about a couple of his administration’s accomplishments. And again, these are things many Hoosiers would not immediately identify as his legacy. Gov. Daniels spoke of the Healthy Rivers Initiative that was created in 2010 and its effect in particular on Sugar Creek. Being able to paddle from Montgomery County all the way to Terre Haute, with protected wetlands and flood plains on both sides is a monumental accomplishment. And what may become the most impactful move of his tenure, the protection of Goose Pond in Greene County is clearly something of which he is wildly proud. He should be. It is an international destination for birders, and is growing in significance every year. He is correct. And decades from now, these are the things that will make up his legacy. I have become a fan of Whitman in recent years, having been turned onto him by reference in a couple of my favorite movies. Who can forget Susan Sarandon’s portrayal of Annie Savoy in “Bull Durham” and her odd blend of obsessions of baseball and the famous poet’s interpretation of life? As a result, I think of him every spring as America’s pastime launches. Nothing seems more optimistic to me than that. It strikes me as a simple opportunity that is often missed in day to day life. And especially in the realm of public service.